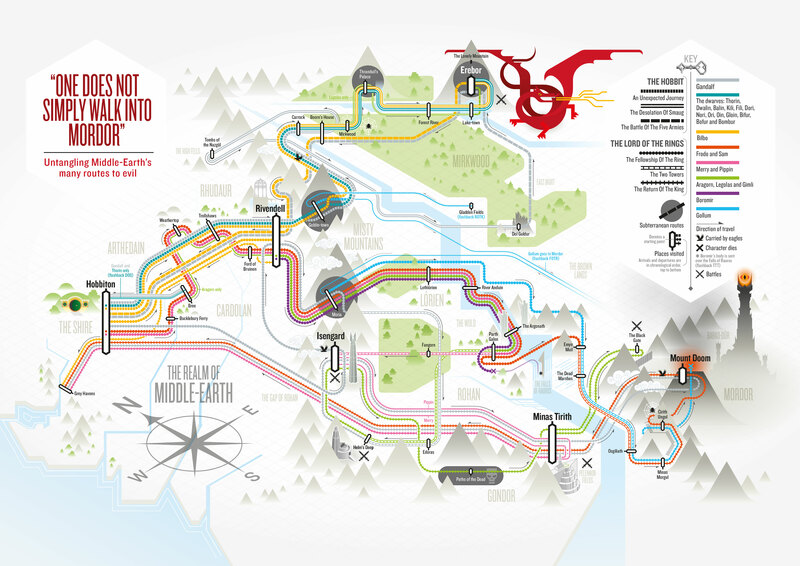 A big h/t to Cameron Booth for the link to this marvelous Middle Earth “transit” map. Commissioned by Empire magazine,the brilliant map which plots the journeys of the key characters through the Peter Jackson film adaptations of The Hobbit and Lord of the Rings, was created by British illustrator Christian Tate. This entry was posted in Art, Books, Europe, Film, Maps, movies, Public Transport and tagged J. R. R. Tolkien, Lord of the Rings, Peter Jackson, the Hobbit. Bookmark the permalink.